Security giant ADT has signed a 121,954-square-foot lease for space at Cherry Creek Place II in one of the largest office lease transactions to be completed in the Denver metro area this year. “We’re very excited about the opportunity that it brings to Aurora as well as the value creation in our building,” said R. Brian Watson of Northstar Commercial Partners, which owns the property. 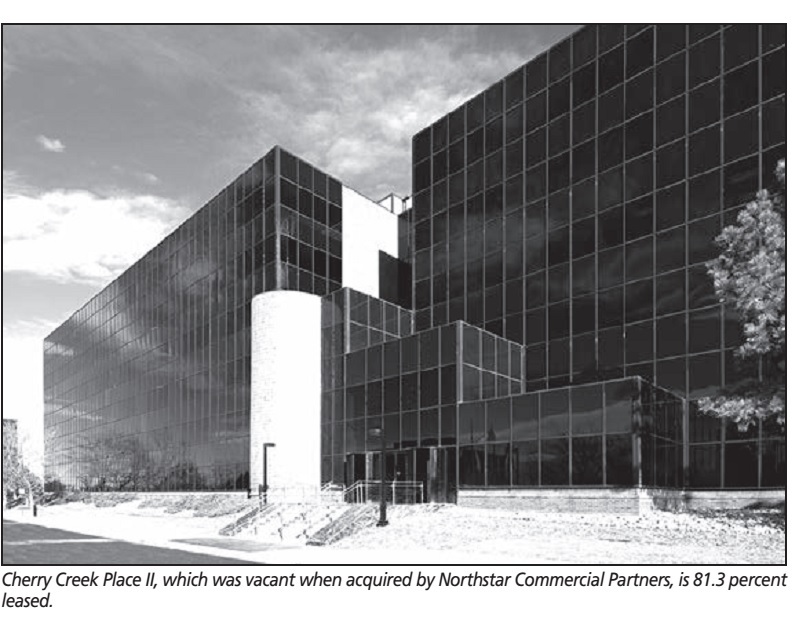 “It’s going to bring 850 jobs to the building, which is a big economic impact to the city of Aurora.” Northstar acquired the 204,019-sf building at 3190 S. Vaughn Way in 2009 for an estimated 12 percent of replacement cost. It was vacant at the time. The state of Colorado occupies 43,910 sf. The long-term lease with ADT Security Services will bring occupancy to 81.3 percent. The security company will occupy the space in the second quarter. ADT is the largest company of its kind in the United States and Canada. CBRE broker Alex Hammerstein, who represented ADT with CBRE brokers Nick DiPaolo, Henry Johnson, Mike Scimo and Dan Wengert, declined comment on the transaction. Bob Whittelsey, Jonathan Jones, John Hutto and Katy Sheehy of Collliers International represented Northstar. Cherry Creek Place II was built in 1981. Previous occupants included AT&T and Dex Media.